- Wireless controller and receiver unit using RF 2.4GHz technology. - Analog controller thumb sticks. - Vibration function with on / off switch. 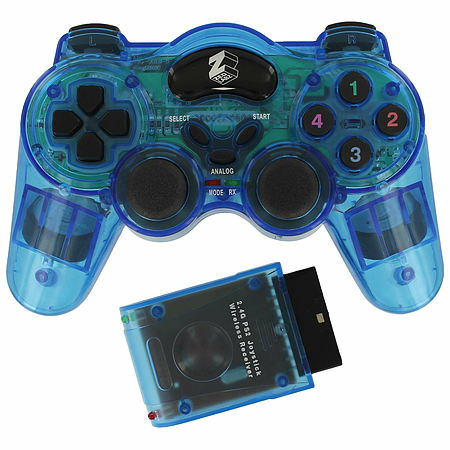 - Features L1/2 & R1/2 Trigger buttons. - Requires 3 x AAA batteries (not included). Enjoy wireless gameplay on your PS2 or PS1 console, all models are supported. No technical setup required, install batteries (not included), plug the receiver into controller port and switch on console to play!